Please click your vehicle's model year below to see the body style/options available. 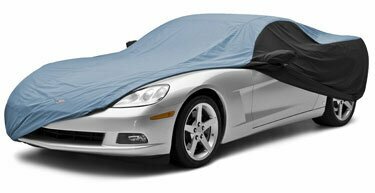 Our car covers are custom fit and manufactured for you. Select from any of the fabrics below. Triguard is a special three layer material intended for light to medium weather outdoor or indoor use. Perfect for protection from dust and animal droppings, not suggested for harsh weather conditions. An extra thick 4 layer material designed to help prevent nicks and door dings. The thickness of Coverbond 4 absorbs most minor impacts, and stands up to the elements. Note that due to the extra bulk of Coverbond 4, consideration must be given if purchasing a Coverbond 4 cover for a large vehicle or truck. An excellent choice for sunny climates. The silver reflective layer reflects sunlight and U.V. rays, yet is very water resistant. Made from strong Polyester yarn, with an added silver reflective and water resistant layer. Mosom+ is a four layer material. The outer two layers are Spunbond Polypropylene, the middle layer is a special micro-porus film and the inside layer is super-soft fabric. The middle layer is an excellent rain barrier, while allowing for vapors to pass through. The special cotton flock inner layer pampers the most delicate paint finish. 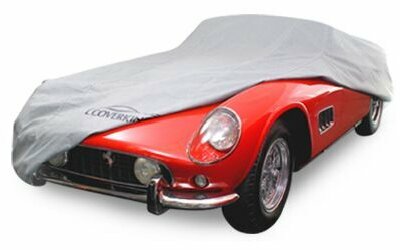 It is a great choice for all-around car cover use, suggested for most conditions except extreme sun, snow or ice. Mosom+ us a non-woven material, so in the unlikely event a rip occurs in the materlial, it will not run. Silverguard+ is a 300 Denier polyester material with a reflective, water resistant coating on the outer layer and a soft, non-abrasive layer on the inside. 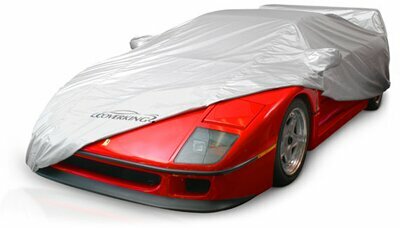 It is a great choice for all-around car cover use, suggested for most conditions except extreme rain, snow or ice. 300 denier is a strong, heavy weave which will not rip or tear easily. The silver coating on Silverguard+ does an excellent job of reflecting sunlight, while keeping rain and animal droppings from damaging the vehicle finish. The special soft inner layer pampers the most delicate paint finish. Stormproof is the culmination of decades of research in microfiber technology. 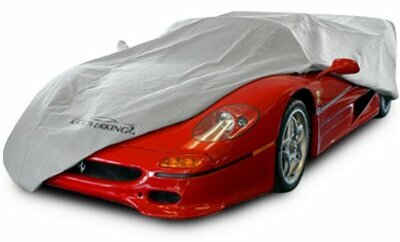 Developed by Coverking specifically for car cover use, Stormproof is totally UNTREATED. Stormproof is INHERENTLY extremely water resistant, fade resistant, and very breathable. Test results show it to be exponentially superior to coated materials. And, because there is no coating to wear off, Stormproof will provide the same protection throughout its life! The ultimate in luxury. 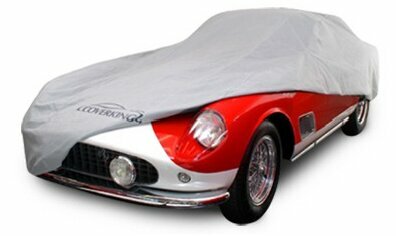 Ultra soft Satin is combined with special lycra yarns to produce the ultimate fit car cover. 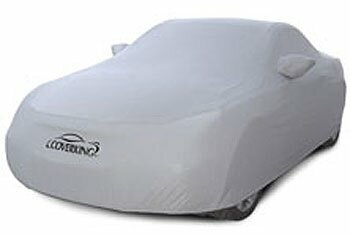 We then designed a special fleece inner liner to provide an even softer touch to prevent any scratches on the vehicle! The look of Satin, the fit of Lycra, and the softness of Fleece - The PERFECT indoor cover! 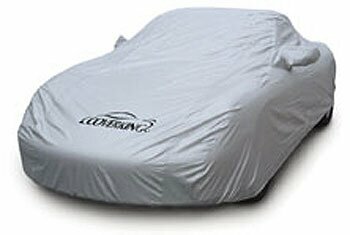 Revolutionary new material takes the stretch of Coverking satin stretch custom covers, and combines it with all weather protection. 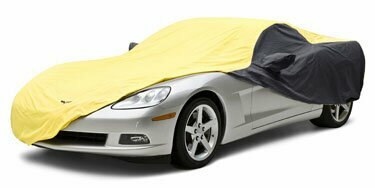 Protect your vehicle from the elements while keeping a perfect fit!